17th April: Unusually warm and sunny. Two days after the volcanic eruption in Iceland and all aircraft are grounded. There are no vapour trails and the sky is cloudless. I mainly follow the route outlined by David Cotton, who did the coastwalk in 2002. For details of his route, consult his excellent website and look up walk #253. I drive to Kings Lynn and park in a longstay car park. The time is 9:20 am. I ask a few people for directions to the tourist office, but they all seem to be Eastern European and don’t speak English. Then I meet a man with a dog and he directs me toward the Great Ouse River, but he did add “There is nothing much there.” He is right. I walk along the river bank and then down a track running alongside the river, passing various chemical factories and parked white vans, until I reach some rather nice houses and then the nature reserve at the end. I follow David’s route along the Old West Sea Bank and, ignoring a sign that reads “no public right of way”, walk along a bank and into Vinegar Middle, then follow farm tracks through Wooten Marsh. I am passed by a few 4×4 cars, but otherwise I see nobody. By now I am getting bored. With empty, flat farmlands on either side, and no sign of the sea, this is not the coastal walk I had envisaged. So I decide to divert from David’s route by heading onto the sea wall at Wooten Marsh – this is the grassy earth bank that protects the low lying farmland from flooding. There are notices at access points to the sea bank which warn me that there is no public right of way along the bank, shooting is prohibited unless I am a member of a certain club and if I carry a gun then I must also carry my membership card at all times. Since I wasn’t carrying a gun, I decide to continue. Still no sign of the sea, only mud flats stretching out to my left – where the sea must begin eventually. This part of the walk is long and hot. The sky is clear, the sun shines down and there is not even a sea breeze. The sea bank stretches relentlessly ahead with no “end point” in site. On my right are farmlands. On my left are the mud flats and the occasional strange wooden “shack”. I presume these wooden shacks belong to huntin’, shootin’ and fishin’ people and are probably the gun man’s equivalent of a garden shed – a home-from-home. I did hear gunshots in the distance, but this area of the coast is deserted and I see nobody during this stretch of the walk. I am pleased about this as I feel very exposed high up on the bank and I do not want to be challenged about my right to walk here. I startle a lot of birds. And I grow hotter and hotter, shedding layers of clothing, until I am in my T shirt and glad that I packed factor 25 sun block. Eventually I reach a small creek and the sea wall turns inland. At this point I meet a locked gate – the first I have come across, and I have to crawl through a barbed wire fence to continue. I follow the raised bank around the creek and reached the far end of the Snettisham nature reserve. Here I see the first people since I left the Great Ouse River, nearly 8 miles ago. I had felt anxious walking along the sea wall, as this was clearly not a public right of way, so I was relieved to be on a public trail and to follow the paths of the nature reserve. My feet are beginning to hurt and I am feeling hot and thirsty. Worse still, my iPhone is running dangerously low on batteries due to the Trip Journal app I am running. I am really worried that my phone is going to die – and with it goes my communication and escape route. So I am forced to switch if off, only turning it on again to mark various waypoints. At the far end of the Snettisham reserve is Snettisham Scalp. Here are holiday cottages and caravan parks, with plenty of people – walking, cycling and fishing. I find a small shop in one of the caravan parks and buy an icecream. Apart from drinks of water, I have had nothing to eat since starting and, on switching my iPhone on, I am dismayed to see it is already quarter to three. I had no idea that it was so late or that my progress had been so slow. I nearly give up. My feet are hurting, I am hot, and I don’t know if I will make it to Hunstanton. I ask the shop keeper about buses and, if there had been one available, I would have headed back to King’s Lynn at that point. However, she tells me I would have to walk into Snettisham village and that is “quite a walk”. My map confirms that by the time I arrive at Snettisham village, I could be 1/2 way to Hunstanton instead. So I decide to press on. Despite my sore feet, I pick up the pace. Walking quickly, I pass everyone ahead of me, get licked by dogs, avoid cows, and walk along a raised bank running parallel with the coast until I reach Heacham beach. Here it really feels like a seaside resort – hot and sunburnt people are milling around with dogs, children, bikes, and I even saw a woman on a disabled scooter making it up a ramp and onto the beach. Groups of young people walk along the sand, speaking in Eastern European languages. There is a toilet and I wash my dog-licked hands and then settle down on the sand for a can of coke and a bar of chocolate. Then I cast caution aside and eat the rest of my food box! Getting up is hard. My legs ache but my feet are really sore and I know I must have blisters. The map shows a coastal walk running all the way to Hunstanton – only 2-3 miles to go. The first part of the walk is a sandy track – really hard work. I am beginning to think I will need to take an inland path, when I reach another part of Heacham beach and find a wonderful paved sea promenade. To my right are beach huts and, later, holiday cottages. To my left is the muddy beach, stretching into the distance, with the sea shining in the sunlight some miles away. The beach has wooden sea defences, groynes, marching out from the shoreline. The raised promenade is busy with people walking, cycling, pushing babies and exercising dogs. I see many overweight people and feel very virtuous. Ahead of me, a biker strides in full leathers. I overtake him. The promenade curves gently round and I suddenly realise I am in Hunstanton. There is a fun fair, I pass the aquarium, ice cream kiosks, and watch a microlight pilot buzz a boat coming into the shore. The boat rises and begins rolling onto the sand – ah a hovercraft. No, it is a boat on wheels. It makes its way up the beach and docks. I stop and ask an girl in an icecream kiosk for directions to the bus station. My feet are very sore now and I have to force myself to walk without a limp. I follow her directions and ask several more people en route, to ensure I am heading the right way. At this stage, I don’t want to have to walk any further than is absolutely necessary. I arrive at the bus station at 5:20 pm and join the queue of holiday makers. The “express” bus to Kings Lynn pulls in and I pay my £3.50 bus fair with relish, slipping into a seat and falling asleep almost instantly. It took me 8 hours to make this journy, but only 45 minutes to return to Kings Lynn. I walk on painful feet through the closed shopping centre and find my car again. Then home. Vital stats: Distance 16 miles. Time taken 8 hours. Av speed 2 miles an hour. I walk slower than I anticipated. Despite prepartion and comfortable shoes 16 miles was too far for the first day. I must not leave my tracking feature turned on, because it depletes my phone battery too quickly. It is the edge of the blister that hurts, not the centre. Blisters stop hurting if you pop them. Chocolate bars are essential because they make you feel better. All ice-cream sellers are kind and friendly people. Oh and, depending on the route, the walk around the British mainland is 5-6,000 miles. At this rate, it will take me 6-7 years to complete! This entry was posted in 02 Norfolk and tagged britain, coast, coastal, england, Heacham, hiking, Hunstanton, Kings Lynn, Norfolk Coastal Path, Snettisham, walk, walking. Bookmark the permalink. I really hope you enjoy walking the coast. You will see so many fantastic sights and meet so many fascinating people on the way. Take your time and enjoy yourself. Many thanks for your kind comments about my website. You may like to know that all of my coastal walks descriptions should include Google maps showing (hopefully!) the route that I took. I hope that you do not mind: I have added a link to this blog from my website at http://www.britishwalks.org/walks/Named/CoastWalk/Links.php. I found your blog today and decided to start from the beginning. I’m a walker and a blogger and once one of the overweight people you saw on the beach but walking (amongst other things) has more or less sorted that out. I think sixteen miles was probably a bit ambitious for your first day and I hope, by now, you have discovered the joys of blister plasters. Looking forward to reading about the rest of your journey. This is a very good walk. The part in which you said it was not a public right of way is incorrect, the signs are misleading and the locked gate has been removed. 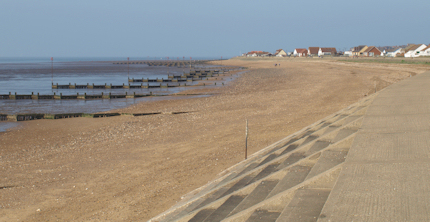 The public can walk ALL the way along the sea bank at Snettisham. 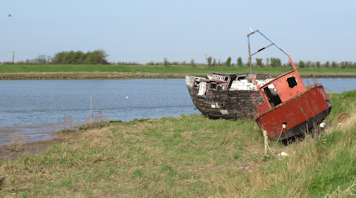 Please visit Snettisham and the wonderful walks it offers. Hi Stephen, That is great news. 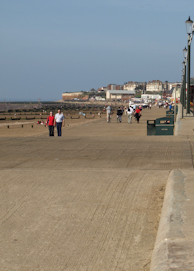 Did you walk along the sea wall – as I did? And are there still ‘private property’ signs up? This walk has been on my radar for some time, but there are no Public Footpaths – so it would mean chancing it on other tracks! I had been apprehensive about doing this walk as I had recently been challenged walking on a supposedly Private Bridleway. I had looked at Ruth & Dave’s Blog about the walk, and also Googled Earthed the walk and decided that if others had done it unchallenged then so could I.
I eventually found the route to the river in Kings Lynn and walked the Public Footpath out along the riverbank. Having been told that there was a new path along the bank, I walked along this.Wrong move! The path was incomplete and stopped near the pylons, so I had to make my way up the bank, through a gap in the hedge, to get to the proper path, running parallel. I eventually came up to the path, turning to the right, inland, and climbed over two styles to the metal iron barred gates, and came up to the turning left going northwards along the Embankment. The only thing stopping me walking this path was the sign saying “No Public Right of Way”! The grass had recently been cut and it was easy walking.I soon came up to two more locked iron barred gates, also with “No Public Right of Way” signs, that I climbed over. A short walk later I came to the junction of the sea-defence bank – (coming in from my left – West), and farm tracks. I went straight on, the farm tracks, North/Westward. I noticed that cattle were grazing on the bank, over towards the river, and was glad that I hadn’t wanted to walk that way. I proceeded along the track to Vinegar Middle. There was a vehicle in the distance and I was walking towards it! After a while, the vehicle turned inland and I was quite relieved, to see it depart. My relief however was short lived! At the next junction I turned left and proceeded due North/West and then North. I looked up and suddenly a LandRover was coming towards me down the track. I was worried that I would be challenged, but the driver went straight past me. Phew! I tentatively carried on, glancing behind me to see the LandRover disappearing into the distance. I soon came up to the sea-defence bank, coming towards me on the left – westward. A car was parked here, but I could not see anybody about, so I walked up on to the sea-defence bank – going North/East. This was quite overgrown so I decided that I would go due East along the farm track (but I really wanted to walk the sea-defence bank). I carried on to the junction and turned left, going Northwards. I looked over at the sea-defence bank and there was another vehicle parked by the next access to the sea-wall. This was due West of Estuary Farm on the O/S map. I could see someone walking along the bank, so I realised it was walkable, which was good as I wanted to walk along this stretch. I walked up to the next junction and turned left towards the sea-wall, past the parked car and up onto the sea-defence bank, turning right and North/Easterly. In front of me was the person I had seen earlier and it was a guy, putting his young black Lab onto a lead. I then had to climb over another iron barred gate displaying a “No Public Right of Way” sign. 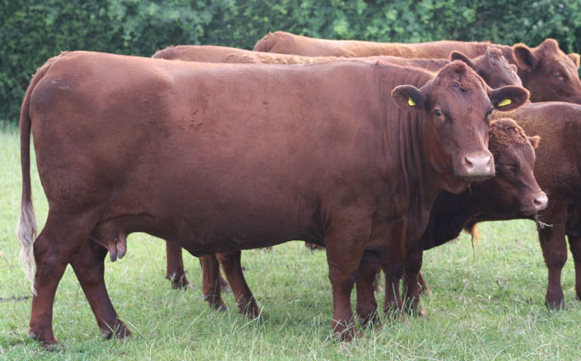 The reason the bank was walkable was because the cattle that I had seen earlier had been on the bank recently and flattened the undergrowth – luckily, at least a week to ten days earlier, (cattle not being the best toilet trained animals), so the cow pats had dried out! I carried on walking and the bank turned even more to the East. Unfortunately the cattle had not trampled undergrowth down further along the bank. It seemed every time I climbed over another barred gate the undergrowth got longer and longer. Soon this was up to waist height and now another problem – Nettles and Thistles! Smaller patches of nettles I could carefully walk through, only getting stung occasionally. Some were larger patches so I thought I would try getting over the rickety barbed wire fence onto a slightly less overgrown track, which ran parallel with the bank on the landward side. However, I didn’t fancy getting wrapped up in the barbed wire fence so I abandoned that idea! I soon realised that ,if I came down the bank a little way, I could walk around the larger patches. This I now did, passing the wild fowlers huts on the seaward side – these were all unoccupied. Complete isolation. Now the undergrowth was less overgrown, so I quickened the pace, but there were still nettles on this section, and I got stung again. So back to carefully avoiding the stingers. 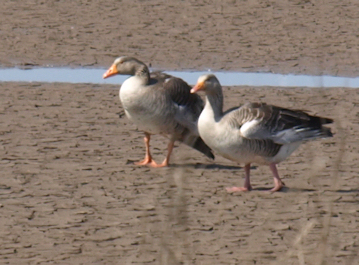 I eventually came to the next junction and walked along the bank to my left – North/Eastwards. Luxury – this bank had been recently cut. This bank turned again after five minutes – leftwards towards the sea. This was Wolferton Pump Station on the River Ingol. I walked through an easy to use gate. As I looked back from the other side the gate sign read “No Public Right of Way”, so I felt I was now on Public Footpaths. Keeping to the left-hand footpath, and walking towards the sea I eventually came to the walks around Snettisham RSPB Nature Reserve. I had managed to get through unchallenged – no more fear of being challenged! I walked along the path, past the beach properties leading up to Snettisham Beach Road. This is where I started the walk to Hunstanton the week before. I now walked the road into Snettisham for a well earned pint, and to catch the bus back home to Sheringham. Don’t wear shorts and sandals if you intend walking the sea-defence bank. Apart from overgrown undergrowth, stinging nettles, thistles and the possibility of ticks there may be cattle up on the banks. The other thing that I noticed was that if I had carried on, on the farm tracks, there did not appear to be any “No Public Right of Way” signs, and also no locked, barred gates. The walking would have been a lot quicker. Overall, I am pleased that I did the walk that I did, uncomfortable at times, but I was elated at getting to Snettisham and completing a difficult walk, in more ways than one! I now have a small walk from Hopton on the Suffolk border to Gorleston and West Lynn to River Nene on the Lincolnshire border, to complete the Norfolk Coast! Hi Ruth . Hope all well with you and well done re the Welsh path progress towards Snowdonia..
Lincolnshire nearly done now.. just 10 miles left to Barton on Humber .. amazing wildlife en route.. easily the most bird life we have seen anywhere on the coast..
Well done. Hope you enjoyed it. It will be my final stretch (if I ever get that far!) and am feeling a bit anxious about the flatness and the monotony. We feel the same. ..but so much of the east coast is flat! So far anyway. We enjoyed Grimsby to Skegness most.. plus most of the coast, has incredible bird life.. we are not twitchers, but have been overwhelmed by the variety and number of birds. The other surprise was 2 large.. 5 plus miles long Raf. Bombing ranges! The worst area was north kiLlingholme to Grimsby.. so industrial and cancer causing! because apparently you need this document to pass??!! He literally took pleasure in hearing that it would mean a huge diversion on our part (back the way we came, on to North Wooton and then South Wooton to get the bus back to Kings Lynn although we had doubled back so much due to a dearth of footpaths that we may as well have walked to Kings Lynn!) and that we would not complete the walk that day. So here are my thoughts, although I must point out that the official was right as in there is no legitimate public right of way along the coast: If you’re going to do the coastal walk as opposed to walking double the distance inland, under no circumstances use the sea defense bank nearest the sea as there are huts all along this (water side) with people in them who will report you. There is a second sea defense wall a hundred metres or so inland where all these huts are out of sight to you, meaning they can’t see you either. There’s no guarantee this will work but the odds will certainly be reduced in terms of you being seen. Good luck. Oh dear, Andrew. What a nasty man. So sorry to hear this. I walked along a farm track for the first part of this walk and probably inadvertently missed those huts. How frustrating for you. I wonder where they will route the official England Coast Path across this section?! Pingback: Planning to get back on our feet | Can we have a gin yet? Hello Ruth, I have just found your blog – directed here by Marie Keates, whose blog I have also just begun following. I am starting at the beginning of your coastal walk and will try to go in order. I enjoyed the account of your first day but sorry that you got blisters!